One of the many themes found in the writings of Isaiah is that of pride. A universal sin, pride overcame the ancient Israelites of Isaiah’s day just as it overtakes many in our day. It likewise infected Nephi’s people, and so he incorporated warnings against pride by quoting Isaiah, who spoke of its dangers, and then offering his own commentary. Per his explicitly stated method, Nephi “likened” these scriptures (originally about the destruction of Judah, Syria, Assyria, and Babylon) to his situation and the situation that would befall his descendants, who would likewise become proud and thus reap God’s judgment. But as Seely elaborated, besides merely quoting Isaiah passages with the theme of pride and likening them to his descendants, Nephi also developed his prophetic commentary on this subject in his subsequent prophecies about the last days. For example, Nephi utilized Isaiah 3:15 (2 Nephi 13:15) and Isaiah 5:21 (2 Nephi 15:21) in his commentary on the pride of latter-day Gentiles in 2 Nephi 26:20. Likewise, Nephi utilizes the language of Isaiah 2:8 (2 Nephi 12:8) in his warning against relying “on the arm of flesh” in 2 Nephi 28:31. Thus, Nephi’s extensive commentary in 2 Nephi 25–30 can be seen as a reflection on and adaption of many of the Isaiah chapters quoted earlier. Nephi can thus be seen as first introducing his readers to the theme of pride with these selections from Isaiah and subsequently developing a prophetic warning against this sin in later chapters. Since pride is a sin that affects everyone to varying degrees, it is understandable why Nephi would be inspired to include a warning against it in his writings. The ultimate manifestation of pride is rejection of the Savior and his commandments, a course Nephi was keenly and tragically aware that his people would follow. “Nephi [described] how the Messiah will present himself to [the Jews, Nephites, and Gentiles] and how in each case the main reason for their rejection of the Messiah and his gospel is pride,” Seely explained. 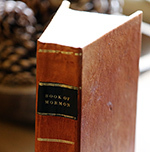 “Ultimately, however, through the revelation of the Book of Mormon to the Gentiles, each group will repent of its pride, be brought back to a knowledge of the Messiah, and enter into a covenant with the Lord.” Nephi’s writings thus act as a prophetic precaution against pride for latter-day readers. Additionally, “on a more personal level, Nephi identifies pride as one of the main reasons that his brothers Laman and Lemuel reject the teachings of their father and of Nephi,” Seely remarked. Nephi himself struggled with pride (2 Nephi 4:17–18), but, as Seely reminded us, overcame that by humbly submitting to the Lord (1 Nephi 2:16). Besides describing the dangers of pride, the Book of Mormon also teaches that humility, faith, patience, and charity are antidotes to fight this chronic sin. “As we read the warning against pride pronounced with eloquence by Isaiah and in plainness by Nephi, and as we study their other prophecies,” we can liken their words to our lives and benefit from their wisdom and guidance (2 Nephi 11:8). David Rolph Seely, “Nephi’s Use of Isaiah 2–14 in 2 Nephi 12–30,” in Isaiah in the Book of Mormon, ed. Donald W. Parry and John W. Welch (Provo, UT: FARMS, 1998), 151–169. David Rolph Seely, “Nephi’s Use of Isaiah 2–14 in 2 Nephi 12–30,” in Isaiah in the Book of Mormon, ed. Donald W. Parry and John W. Welch (Provo, UT: FARMS, 1998), 156–157. Seely, “Nephi’s Use of Isaiah 2–14 in 2 Nephi 12–30,” 164. Seely, “Nephi’s Use of Isaiah 2–14 in 2 Nephi 12–30,” 158–159. Seely, “Nephi’s Use of Isaiah 2–14 in 2 Nephi 12–30,”165. Seely, “Nephi’s Use of Isaiah 2–14 in 2 Nephi 12–30,”168. I. Believe it is the opposite, the covenant people of God are not the Gentiles. 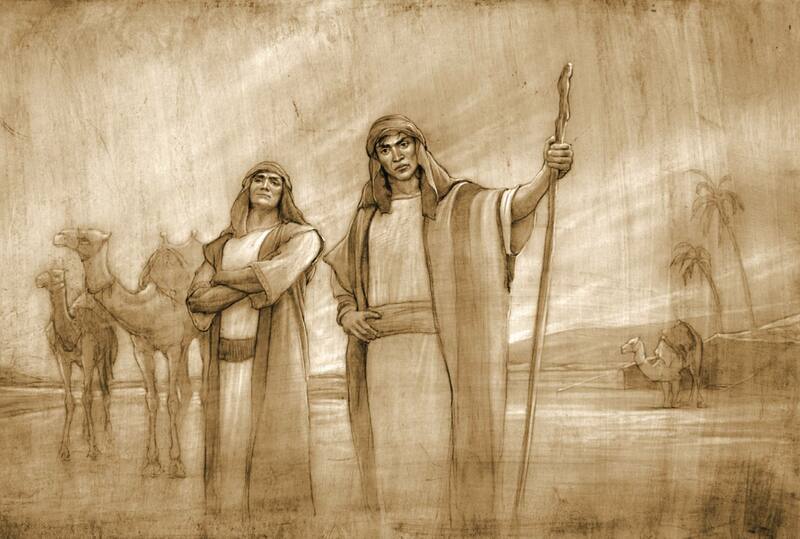 The message of Isaiah and Nephi however, are for us all. The question to be answered from this study of Isaiah is who are the Gentiles? Unfortunately we as the covenant people of God are the Gentiles. It is primarily LDS that read the Book of Mormon so all the warnings and blessings of that book are primarily to us its readers. That should be very concerning to each of us who have polluted the holy church of God as from Mormon 8. May we awaken from our awful plight.